“In 2009, the 1700s homestead and remaining 12 acres of Pitney Farm were purchased by the Township of Mendham from Mrs. Kathleen T. Pitney. This was funded using a combination of Morris County Open Space funds, Mendham Township Open Space funds and a bond to Mendham Township. The use of the county and township open space funds resulted in the designation of 7 acres of the property as open space and use of that parcel covered by deed restriction from Morris County. The remaining 5 acres, which contains all of the site’s principle structures and most of the ancillary ones, has no additional restrictions on its use as a result of the purchase. Mrs. Pitney continued to reside at the farm and be responsible for its maintenance after the purchase and through the transition period (2009‐2013). . . The transfer of management responsibilities to the Township occurred following Mrs. Pitney’s death in August 2013.” (Pitney Farm Public Purpose Study Committee Report, 2014, 4) At this time, the property is not listed on either the NJ State or National Registers of Historic Places. 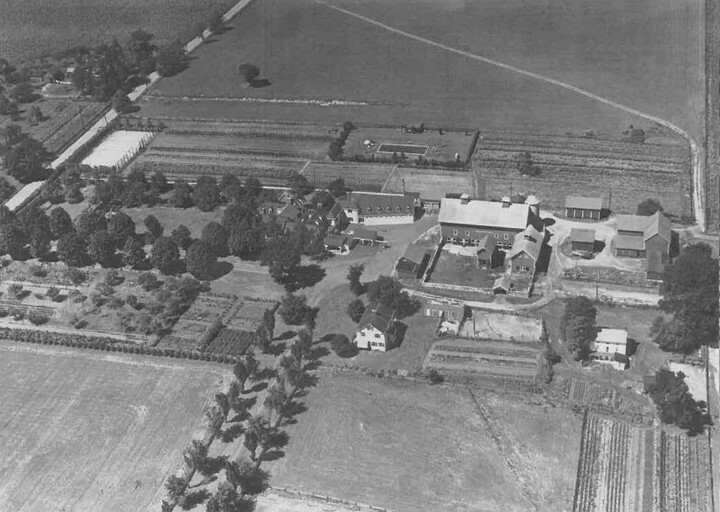 The 5 acre Pitney Farm Historic District parcel containing the major buildings was awarded a Certification of Eligibility for registration on the NJ State and National Registers in February 2015 from the NJ Department of Environmental Protection, Historic Preservation Office.